So, as 2018 draws to a close, we’d like to take the opportunity to thank you for supporting us in this past year. Whether you’re a LPW member, a reader of our blog, a workshop participant or someone we’ve script consulted for – we are super grateful for your support! This year has been nothing short of amazing for us. We kicked off with #WrAP2018, which saw over 150 of you step up to the challenge of writing a play in January. 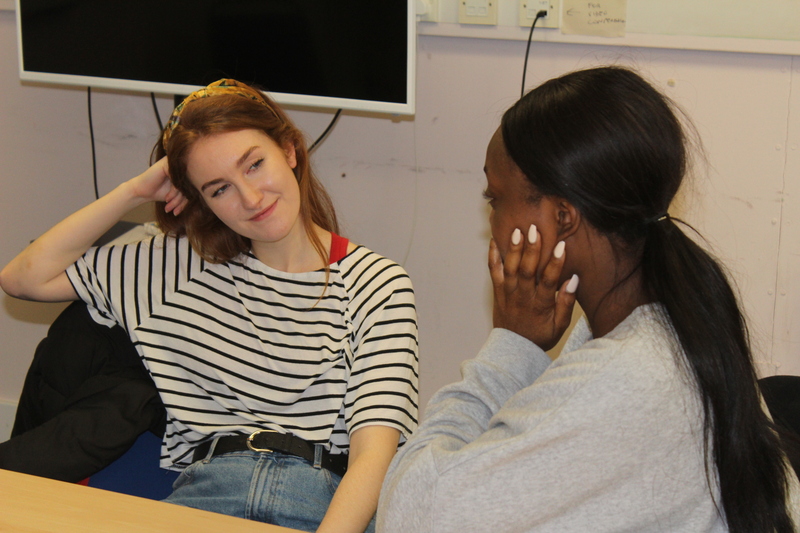 We’ve had the privilege of meeting lots of you at our workshops and meetups, we’ve run online workshops, partnered with London Writers’ Week for the third year running, and posted hundreds of opportunities – which many of you have reported success with! It has also been fantastic to see our membership scheme grow and grow, which has meant we’ve been able to keep bringing you all the opportunities, content, and resources you find on the blog for free. 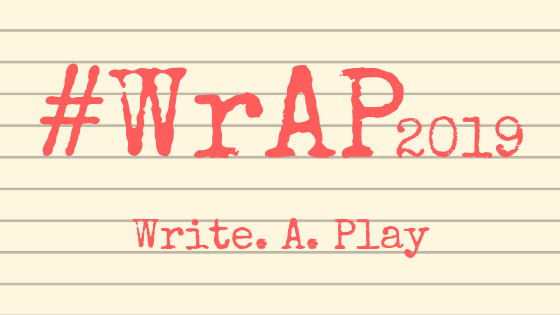 Well, as we did last year, we’re kicking off with #WrAP, which is going to be packed full of everything you need to write a play in January (if you haven’t signed up yet, there’s still time! Read this for more info!). Our first members’ meetup will take place on 2 March and for the first time, will include a free feedback session for your work. And we’re currently working hard on building an exciting array of new projects all designed to continue supporting emerging writers do what they do best – write plays! We couldn’t be more excited about the year ahead and we hope you’ll keep supporting us in 2019 and beyond. 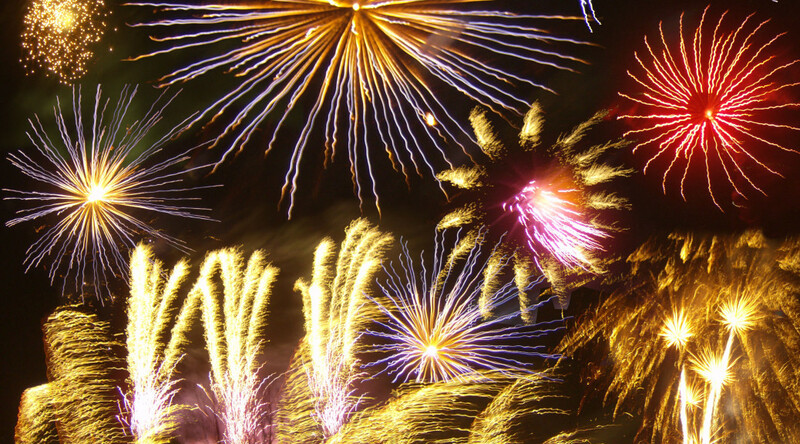 Here’s hoping this is your year to shine as a playwright and that we can continue to support you on your journey! Fireworks in Harlesden, London. Image by Billy Hicks (Own work), via Wikimedia Commons. Want to find out more about why you should take part in #WrAP2019? 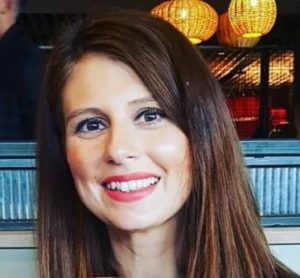 Here, our Head of Writer Development and #WrAP2019 producer Kimberley Andrews, gives you the lowdown and her top 5 reasons for why it’s worth giving it a go! 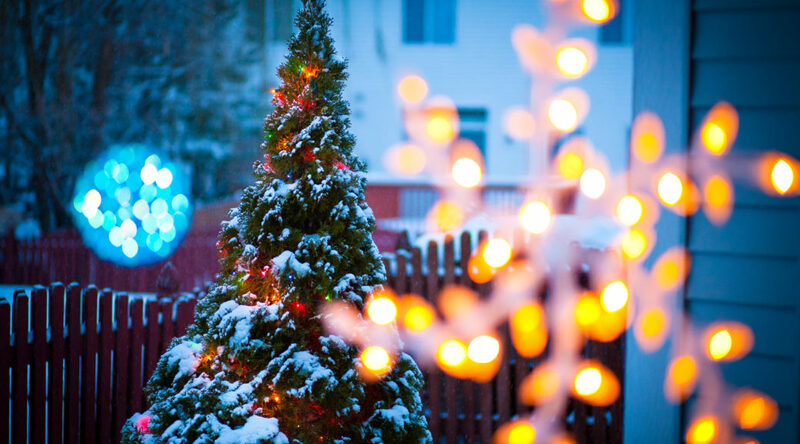 With Christmas looming you’re probably starting to think about your New Year’s Resolutions. Mine usually consist of a diverse selection of overly ambitious aims such as taking up a wild and daring new sport (NB, I don’t do any sports) or eating a fiercely unbearable cocktail of superfoods on a daily basis for the whole year. Not to mention my ‘Writerly Resolutions’ which include bold and completely unattainable commitments such as ‘I will set my alarm for 4am every day to make more time for writing’, or ‘ I will make it big in Hollywood this year’. Needless to say, most of these resolutions have been ditched before the end of January and whilst I can happily forget the idea of taking up a sport, falling off the wagon with my writing aims leaves me feeling demoralised and I find this really kills my motivation. 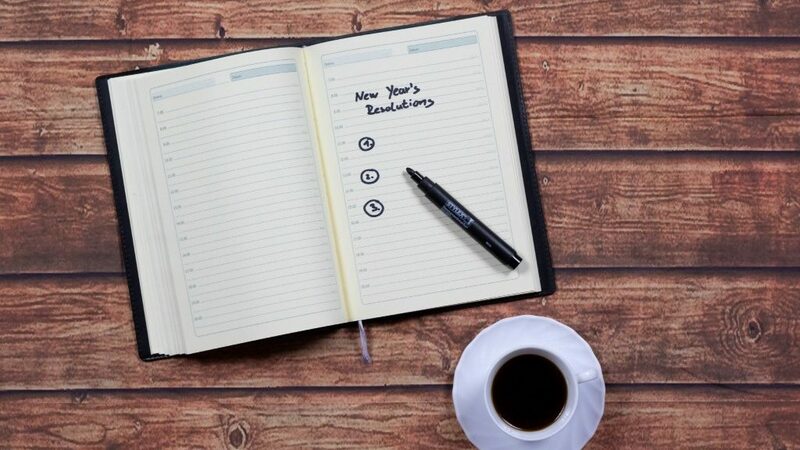 #WrAP2019 might sound like another outlandish January plan but it differs in the fact that you’ll see results in relatively short space of time. Seeing how much you can achieve in just one month will give you a massive boost for the year ahead! It’s also completely possible to achieve your goal – and we know this because people actually did write entire first drafts when we ran #WrAP last year. Unlike a resolution that requires you to abstain from something you really love for a whole year or FAIL(!) completely, you can’t actually fail WrAP. It’s true that some of those who took part last year didn’t manage to finish their plays in a month but you know what, they still had more than they started with at the beginning of January. That sounds like success to me. Even if you only get a few pages down, you’ll have sown the seeds of an idea you’ll be able to develop as the year goes on. Plus, you’ll have the #WrAP2019 emails in your inbox (and live on our members site) to refer back to as you go along. Well, last year’s WrAP was phenomenal. And that’s not us blowing our own trumpets – that’s based on the amazing work that the 155 writers who took part managed in the space of just one month. Some people completed a whole first draft in January, others wrote a few scenes, others fleshed out an idea which formed the basis of the project they worked on for the rest of the year. It was amazing to have so many writers working alongside each other, albeit digitally, to achieve a common goal. We’re going to be throwing in some bonus content which looks at the building blocks of playwriting so rather than just focusing on the page count, you’ll have even more of a chance to develop your craft and to become a better writer. 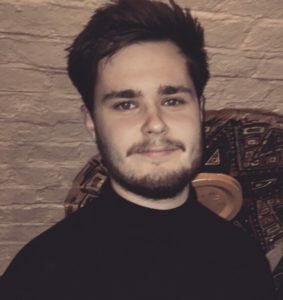 We’ve even got a new content producer on board called George, who has experience in delivering digital content and supporting writers (and is also an emerging playwright) who will be working with me to make sure #WrAP2019 is even better than last year! In addition to this, we’re also going to be giving you the chance to share your work at the next members meet-up so you can get feedback from other LPW members, and I’m also going to turn up armed with some tips for redrafting (which will be useful if you’re thinking of entering any of the big competitions coming up in 2019). You can read more about that here. This might sound like a bold claim and admittedly, there is no scientific evidence to back this up nor any guarantee that completing #WrAP2019 will mean your play gets snapped up by a producer. But based on the old adage ‘practice makes perfect’ I don’t see how committing to your writing in January could not make you a better writer in some (even small) way. With writing prompts, mini workshops, and exercises to banish writers’ block, you should feel motivated to write as much as you can in January and whilst you’re doing that, you’re bound to discover some stuff about playwriting and you voice that will no doubt improve your work. 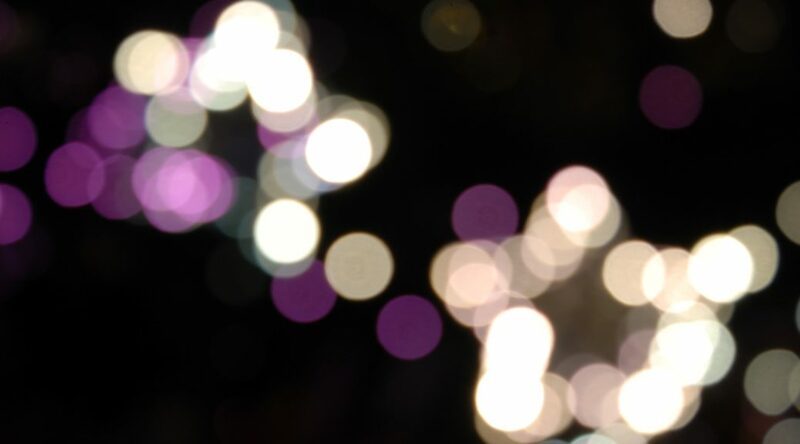 There’s also something magical about working to a tight deadline which unlocks something in your writing – you might not come up with your most polished piece of work but you’re more likely to write something you feel connected to, once you’ve let go of the idea of perfection in favour of getting it finished. We know January is that notorious month where we desperately await payday, subsisting on slightly stale mince pies and the Bounty Celebrations that no one ever bothers eating over Christmas. But, if you’re already a member of LPW , you can access #WrAP2019 for absolutely no extra cost. if you’re not a member yet, it’s only going to cost you the price of a coffee to join. And weren’t you giving up coffee for 2019 anyway…? We should also mention that by becoming a member, you’ll also be helping us to continue the work we do to support emerging playwrights, so you’ll also be doing a good deed! Find out more about joining here. Kimberley is a co-founder of LPB and is Head of Writer Development. 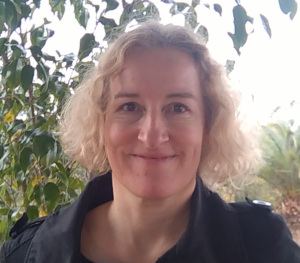 She’s worked with many writers through the workshops she programmes and delivers, and also works as a playwriting tutor & script consultant. A playwright herself, she’s passionate about helping others to be the best writers they can be. George is the LPB intern and also works at Chichester Festival Theatre in digital projects. 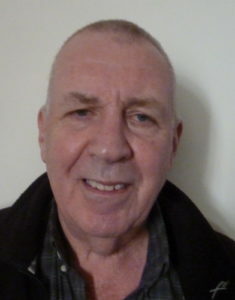 He’s an emerging playwright and has worked with many writers through mentoring schemes he has managed with theatres. He is keen to help everyone and anyone in their writing; whether it’s their first draft, first play or first time picking up a pen! The LPW Online Book Club is just one of the things you can access if you become a member! Not a member yet? Well, if you want a jump start for your writing for the price of a cup of coffee, what are you waiting for? Sign up here today! (Want more reasons to join and a bit more info? Read this). As a result of your feedback, we’ve changed the way we do book club, find out more here. For our December selection, we’re going to be reading Girls by Theresa Ikoko. Why did we pick this? 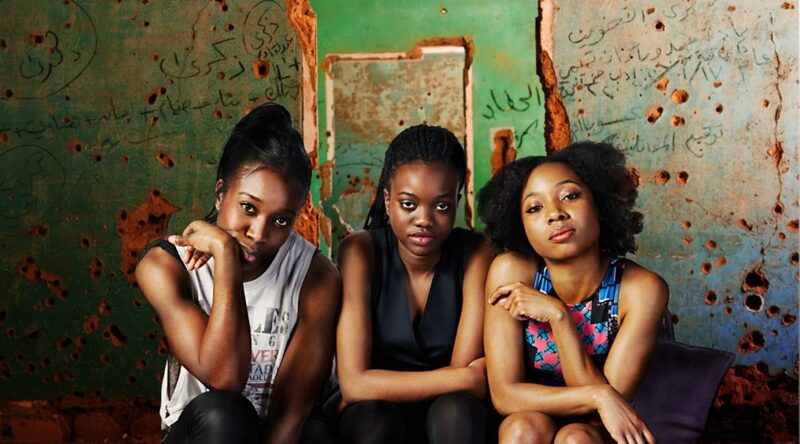 Girls is a powerful play which won both the George Devine award and Alfred Fagon award in 2015. It received its world premiere in 2016 as part of HighTide’s annual festival, in a co-production between HighTide, Soho Theatre and Talawa Theatre Company. The play follows three characters who have been kidnapped, and explores the impact of friendship, growing up and the stories that live behind the news headlines we see everyday. Girls delves into human nature, relationships and world circumstances in both a comical and deeply realistic way. We’re really excited about discussing the play with as many of you as possible. Tisana, Ruhab, and Haleema are three normal girls. They have a lot to say about family, faith, the world, growing up, their bodies, other people’s bodies, and much more. They’ve got plenty of time to talk. They’ve been kidnapped. Girls explores enduring friendship, girlhood and the stories behind the headlines that quickly become yesterday’s news. All you need to do is read the play then head on over to our Members Facebook Group from the 15th of the month to join the discussion! Book club threads will be marked with the hashtag #bookclub, so it will be easy to find the discussion. Feel free to comment on existing threads or even start your own, the more discussion, the better! Once the discussion is open on our Facebook Group, it will stay there, so you can dip in and out throughout the rest of the month as much or as little as you like, whenever is convenient for you. (Please note, to avoid spoilers for those who haven’t finished the play yet, any comments posted on our Facebook Group prior to 15th of each month will be deleted). Find out more and sign up to become a member here! Reflecting on her experience of writing ‘Dandelion‘, which is set in 1988 and centres around the impact of the homophobic law Section 28, guest writer Jennifer Richards discusses writing a play for a modern audience that isn’t about the modern at all. Writing a play that’s not set in today’s world feels risky; with the idea of “newness” often favoured in theatre, with new writing theatres tending to ask for plays about the modern world. 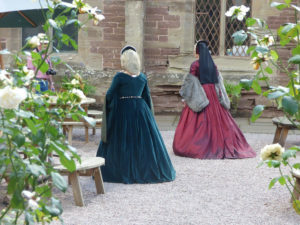 This suggests that historical plays (new ones, not the classics!) may not have a place in today’s theatre scene. But just because a play isn’t set in a contemporary time period, doesn’t mean it can’t have a contemporary feel. 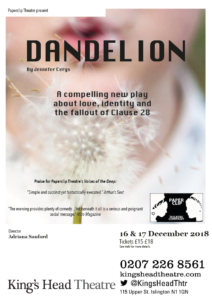 My latest play Dandelion is set in 1988 and explores the impact of Section 28, a piece of legislation introduced by Thatcher that banned the ‘promotion of homosexuality’ by schools and local councils. Ask yourself: why is this story still relevant today? 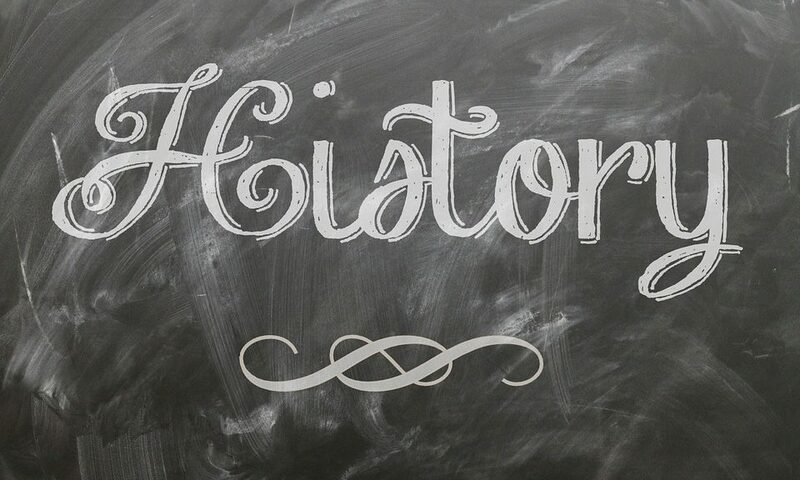 When learning historical texts at schools, whether that was a Shakespeare play or Mary Shelley’s Frankenstein, I always felt slightly distant from the story. 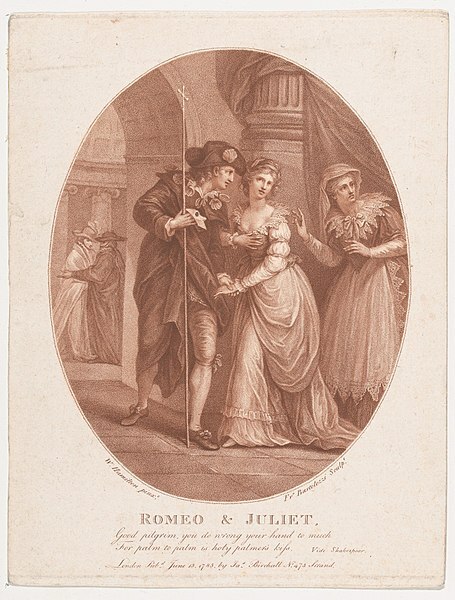 I was 14 and knew nothing of forbidden love or scary scientific inventions; and it’s not that I’ve now spent all the years since I’ve left school having my own Romeo and Juliet story set in a mad-scientist’s lab (though, great idea for a play), but I’ve seen loads of wonderful new takes on these plays and stories, which has helped me discover my connection to them. Also, finding myself in unequal relationships where there wasn’t the correct balance of power, I’ve learnt the universality of the themes in those stories, which often do deal with power and love. Shakespeare’s plays are still staged so frequently as they have something important to say to a modern society. In writing a historical play, it’s about looking where that universal connection still lies, that point within your play that exists outside of its time period. With my play Dandelion, its’ ideas around identity and learning to be comfortable with yourself are not thoughts that only existed in 1988. And though the intricacies of any historical play are likely contained to that time period, it’s the wider themes that should make your story enduringly relevant. Exploring that relevancy I mentioned above doesn’t have to just be contained to the script or stage. With Dandelion, we’re hoping to run a panel event in the New Year centred around the impact of Section 28 and why it’s important to remember queer history. This has further helped us explore that historical significance of a piece of work in a modern setting. Putting on events like this, or perhaps running workshops that offer the chance for people to learn more about the history of your play and why you chose to explore that history, will further foster this connection between the historical and the modern. Making a historical play feel contemporary doesn’t mean trying to minimise the history as much as possible for fear that that part of the play will seem dull. If you want the world you’re creating in your play to really resonate with your audience, it has to feel genuine. Using the correct language from the time period, having fun with the costumes and the music all helps cement the time period. Building a world that does seem different from today also encourages audience members to examine this difference, and look at how we’ve changed as a society, or perhaps how we’ve not changed. When I first started writing Dandelion, because it centres so specifically around a piece of legislation, I didn’t know how to introduce Section 28 to the play without it sounding like I just really needed to funnel in the description of what Section 28 was so the rest of the play could work. And it would have been these stilted historical references that would’ve prevented the play from resonating with a modern audience. I needed to learn to tell this history through the characters rather than name-dropping legislation every other word. Therefore, at the beginning of the play, we play the sound clip of lesbian activists crashing the BBC News to protest Section 28 (an event that really happened) to make it clear from the start that though this play is about a time of historical significance, it centres on the people of that time. Plays are typically about having a strong voice and characters that people connect with and it’s important to remember that doesn’t change when it comes to historical plays. Dandelion has been my first time writing a play not set in the modern day, and it’s been great learning how to combine the historical and the modern – and decking myself out in all the 80s costumes hasn’t been too bad either! Wait – you’re telling me those costumes are only for the actors? Jennifer Richards’s show Dandelion is running at the King’s Head in Islington on December 16th and 17th December. #WrAP is back for 2019! Last January, more than 150 of you kick-started 2018 by taking part in WrAP (Write a Play) – where you took on the challenge of writing a play in a month. Some of you managed to get a whole first draft finished, others wrote a few scenes, or came up with ideas that were seen through later in the year. We got some great feedback from writers who, whether they finished their scripts or not, felt #WrAP gave their writing a boost for the new year! So, after last year’s success, we’ve decided to bring the challenge back for 2019 and we want YOU to join us! You CAN write a play this January! Forget overpriced gym memberships or learning how to crochet, the only new year’s resolution a playwright needs is to get writing! Throughout the month we’ll be posting a whole host of writing prompts, exercises and resources to guide you through the process of getting your first draft on paper. Sounds a bit full on with your other commitments? Don’t worry. #WrAP2019 is all about writing as much as you can manage in January; if you finish your play, great, if you only write 20 pages, also great – that’s 20 more pages than you had at the beginning of January! Anyone who wants to write a play! It doesn’t matter if it’s your first play or your fiftieth – as long you’re willing to give it a try and commit some time to writing your play in January, then you should go for it! Throughout January, we’ll share regular writing prompts, exercises and online mini-workshops. These are all designed to support you in writing your play. The resources will take you chronologically through the playwriting process. We’ll kick off with looking at how to develop your idea and end with writing your final scene. There will also be the opportunity for online discussion with fellow #WrAP2019 writers (and us!) via our Members Facebook group, with scheduled sessions where you can ask questions or share concerns. Participation is FREE but you’ll need to be a member of LPW to take part. If you’re already a member, simply click here to sign up and receive #WrAP2019 emails in January. If you’re not a member, you can sign up here. Why do I need to be a member to take part? We love supporting the next generation of playwrights but running the organisation comes at a price. Our subscription fee for members helps us to cover our basic running costs and means that we can continue to provide free resources for emerging playwrights (like you). Whilst we’ll never charge for the content on our blog, we provide additional resources over on our members’ site for paid subscribers. The great news is, monthly membership only costs around the price of a coffee! Read more and sign up here. Watch this space for more #WrAP2019 news! Alison is a graphic designer and has returned to writing after a short film she wrote about a sweet seduction was shot in 2016. A slim volume of her short stories was published in conjunction with the film and ‘Pastry’ (13’, dir: Eduardo Barreto) is now doing the festival circuit and being televised through Eurochannel TV. Alison has written several spec feature screenplays and has recently completed her second full-length stage play. ‘Blessed Be The Peacemakers’ was written in response to a prompt, ‘She turned on the radio’, in a creative writing class and is set when radio was in its heyday. Already, before the Second World War and Churchill’s powerful speeches, Hitler was galvanising an inflicted German nation with his passionate broadcasts. The voice of a little girl was used to capture the innocence, curiosity and confusion that reflects not only the tension in her family but, equally, a nation in crisis. A winner in the themed 2018 Waterloo Festival writing competition, it was subsequently published in Bridge House Publishing’s e-anthology ‘To Be … To Become.’ This is the shorter, published version. “I’m so excited! I can already hear the crowds cheer. I can’t wait. My brother Hans is beside himself. He says our time is coming. He says this will be the start of everything he’s been preparing for. He said that last time, too. And the time before that. Hans finished dinner early then left the table without even asking! He’s waiting for mother by the radio, but he’s still in his uniform instead of his pyjamas. Father seems angry. He doesn’t like seeing Hans get excited, but I do! He’s all wide-eyed and cheery and smiling and it’s much nicer when he’s like that and not being mean and nasty and pulling my hair or screaming at my boy friends if they don’t follow his orders. And worse. He even punched little Bertel last week. But I’ve seen the older boys do the same to him. And sometimes I hear Hans crying when he goes to bed. I don’t think soldiers are meant to cry. He asked me not to tell anyone and I promised I wouldn’t because he said he’ll take my teddy bear and pull his eyes out and I don’t want Teddy to suffer so it’s our secret even though I don’t want to have any secrets, especially not from mother and father. Hans tells me he’s a good soldier and he won’t let the Fuhrer or the country or our family down. I don’t know. I don’t think he likes soldiering very much but he likes it when the little boys follow his orders. Yes, he likes that very much. Hans is itching for mother to turn on the radio. We’re going to hear if we’ve won. I’m not sure what we’re winning, but Hans is already jubilant. I don’t understand why mother and father are so quiet. I think mother is secretly excited because she likes the Fuhrer… a lot. When father isn’t here, when he’s working late, and we hear the Fuhrer talking about what they stole from us and how he’s going to get it all back, she’s very happy. Me too. It’s like Abel at school when he takes our sweets. He’s a big bully. The Fuhrer says that we were bullied and they took all our sweets and he’s going to get them all back for us. And he will. He fixed the country and made it happy again because everyone was sad and poor and hungry and now we have lots of food and nice homes and good jobs and we have fun together like a big family that all thinks and feels the same and I like that feeling too. I don’t know why father isn’t happy about that. He was angry after the squad leader came with the brown shirts for Hans. I was only little then, but I remember. Mother was pleased because Hans needed more shirts but now he only wears the brown shirts anyway. Hans has such a fine time, I don’t know why he cries about it. He marches and sings and fights and plays cowboys and I think it must be a lot of fun! When I join the League, I can march too. I’m really looking forward to that. We all sing in school. Exciting songs about our dear Motherland and our countrymen. Comrades that are our brothers and sisters even though we don’t know them at all. That makes me feel really special. But when father tells us to stop singing, I just feel sad. Mother turns the radio on. There’s music. Hans stands to attention like he’s the conductor. Father fidgets. He doesn’t want to be here but he doesn’t want to miss out either. I look at father and I worry sometimes. Maybe he knows something no one else does. Hans ignores father now. He doesn’t believe in him anymore. But I do. There’s a really long list of countries that are also listening in, just like us. It must be good news! The crowds are so loud. It’s amazing. There are so many people! I get tingles. Then the Fuhrer speaks. Mother’s eyes twinkle and she smiles at me like I’m the most precious thing on earth. It’s way past my bedtime and the Fuhrer talks a lot about things I don’t understand but mother tells me to be quiet and that I will understand when I’m older. It’s a very long speech and I’m very sleepy. The crowd roars again and I jerk awake. Great news! Our stolen Sudetenland has been given back to us! The Fuhrer is so proud. We grow bigger and stronger every day and no one can make fun of us anymore. We are so blessed. We truly are the best people in the world. The Fuhrer wants peace and happiness for all but he says that everyone else wants war. Why do people want war? I don’t understand. Even Hans wants war. I hear my parents argue at night about how they don’t want him to be a soldier and about him crying. I swear, I didn’t tell them that. They whisper about the Eidleman’s, our old neighbours, going to America and us not having enough money to go there too but I don’t want to go because all my friends are here and the teacher told me they don’t even speak German there. I know everything will be okay because the Fuhrer will protect us. He’s built a really big army and we’re very powerful now so we would beat everyone anyway.